Coordinating the details of a home renovation can be timely and stressful. For your next project, let the general contractors at Rosa Carpentry handle everything for you. We can take on any repair or renovation, from roofing to electrical work. 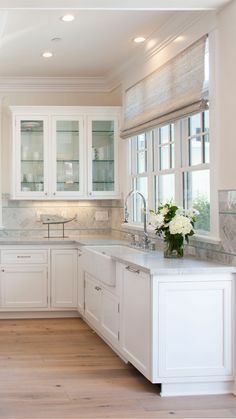 Rosa Carpentry offers a wide variety of luxury cabinets and countertops, ideal for kitchen remodeling. 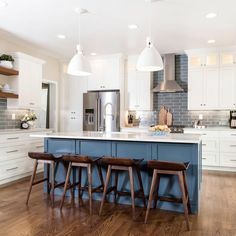 We also offer free estimates on kitchen remodels and will work with you to design a custom kitchen, in your price range. Updating the bathrooms in your home is an investment that always returns. Rosa Carpentry has over 49 years of bathroom remodeling experience. Browse our luxury cabinet, hardware and tile options in our Greenwich showroom. Rosa Carpentry specializes in overall home renovations. Rework your entire home by adding additions or remodeling your floor plan. Call today to request a free quote from our general contractors. Providing Bathroom and Kitchen Remodeling for Over 49 Years! Rosa Carpentry marks it's 49th anniversary of providing carpentry services to Greenwich, CT this year. As lifetime residents of Greenwich, the Rosa family has designed and built dream kitchens, bathrooms, family rooms, entertainment centers, and home offices for generations of local families. Our general contractors can help you incorporate your needs, ideas and dreams into a perfect design, and then turn that into an exquisite and practical reality. The experienced craftsmen at Rosa Carpentry will design the kitchen, bathroom, or home renovation layout that suits your needs. Choose your favorite style from the many custom cabinets in our Greenwich showroom. You'll find classic cabinets in solid woods and painted cabinets with a beautiful glazed finish. 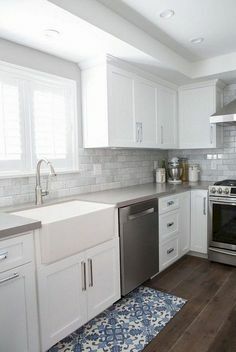 We can also supply you with top of the line Granite, Silestone, Ceaserstone, Marble, Corian or Avonite countertops for your kitchen remodeling or bathroom remodeling project. Rest assured, in the hands of our professional general contractors, your renovation will receive the attention and loving care it deserves. Rosa Carpentry serves Greenwich, CT, Darien, Stamford, and the greater Fairfield County along with Rye, Rye Brook and Westchester County, NY. At our showroom, you will find many displays to choose from. Stop by or give us a call! Showroom hours are 9 am to 5 pm, Monday through Friday and 9 am to 12 pm on Saturdays. We look forward to meeting you.